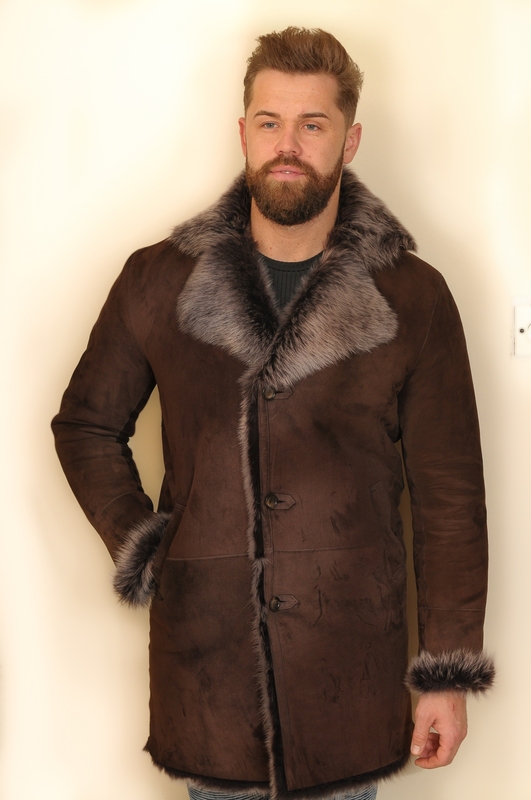 0NE ONLY - SAVE £360! 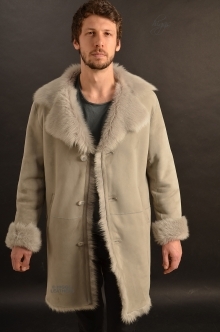 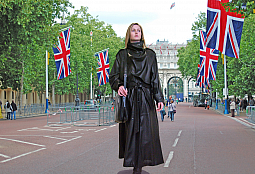 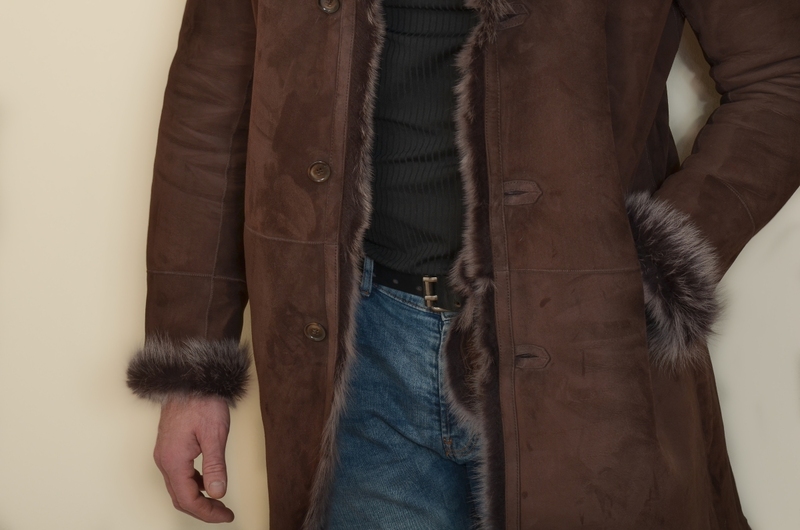 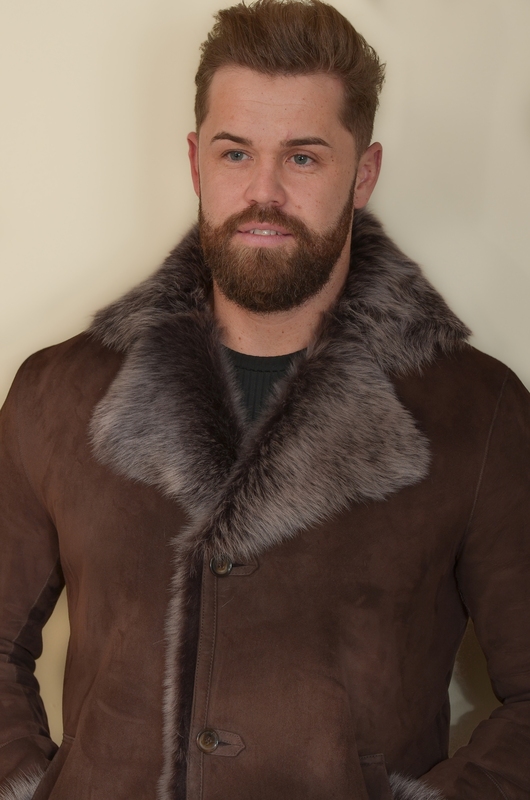 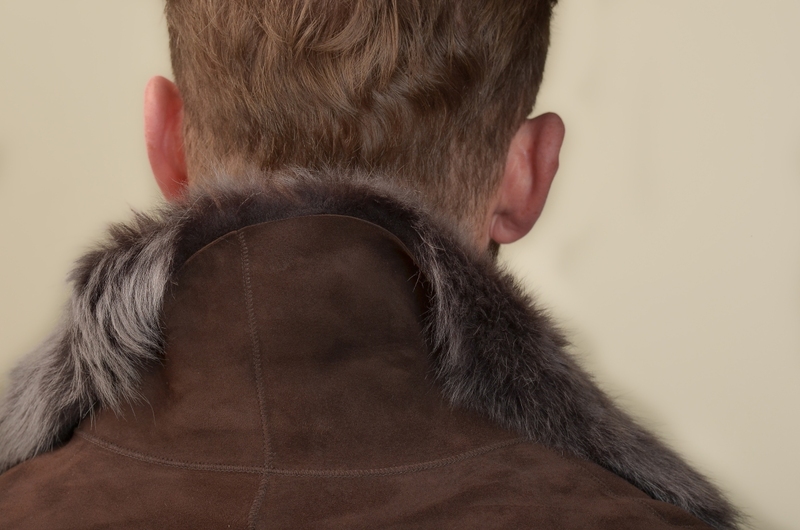 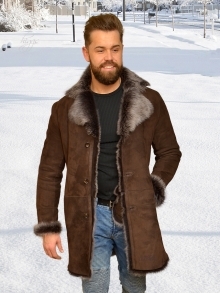 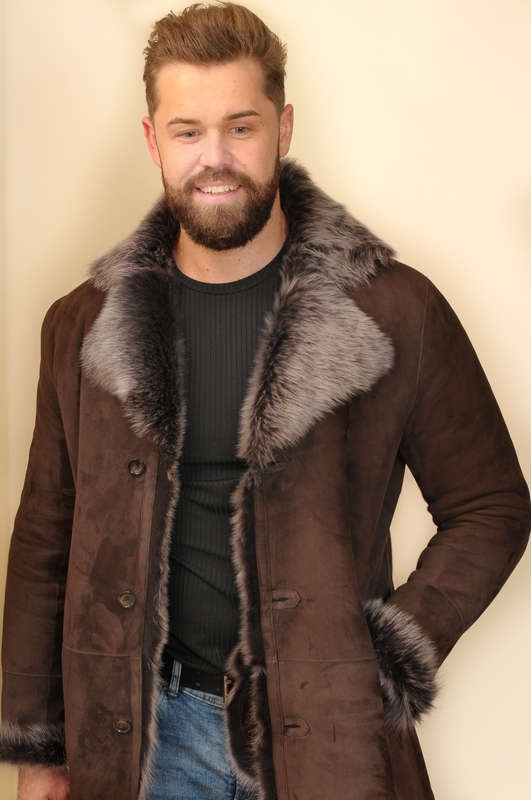 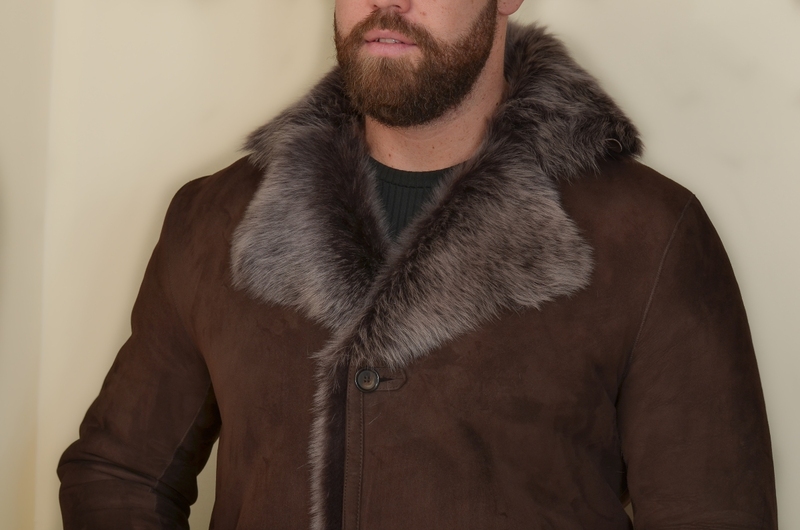 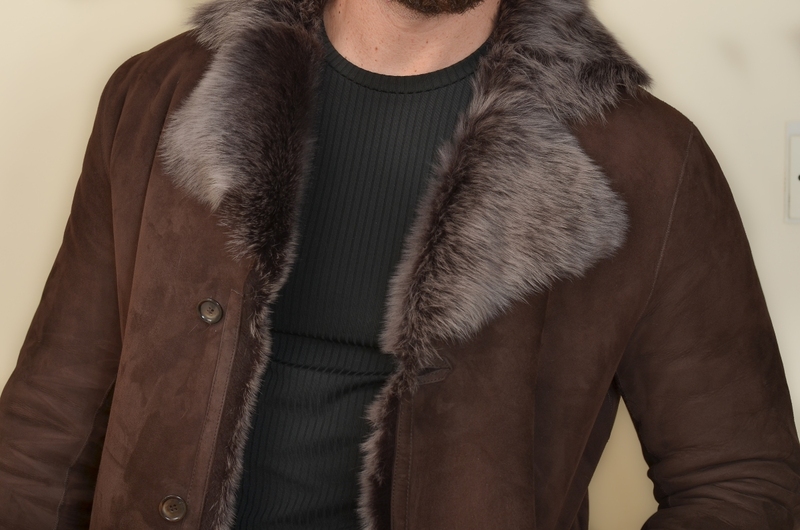 Exquisite Dark Brown Toscana Shearling coat with luxurious full hood that can be worn thrown back giving the impression of a full collar or worn up to frame the face as pictured for wonderful extra warmth. 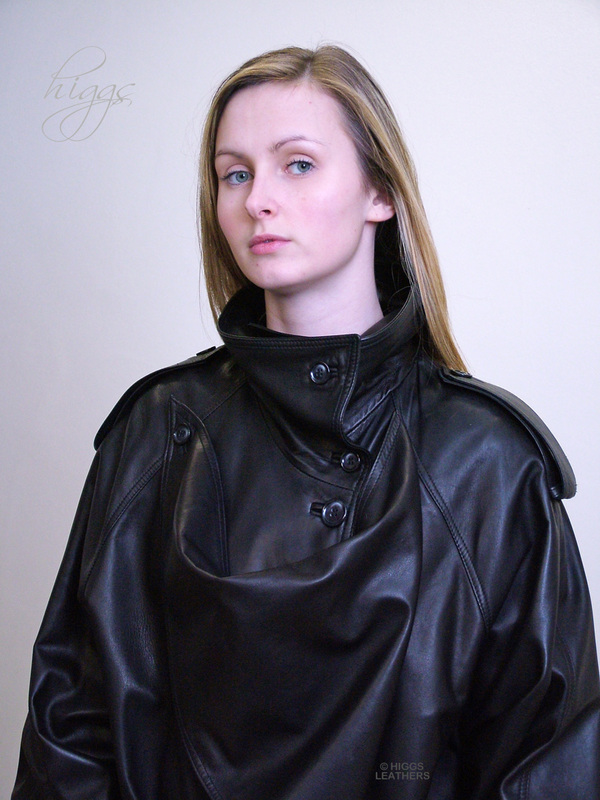 Tailored sleeves with turnback cuffs. 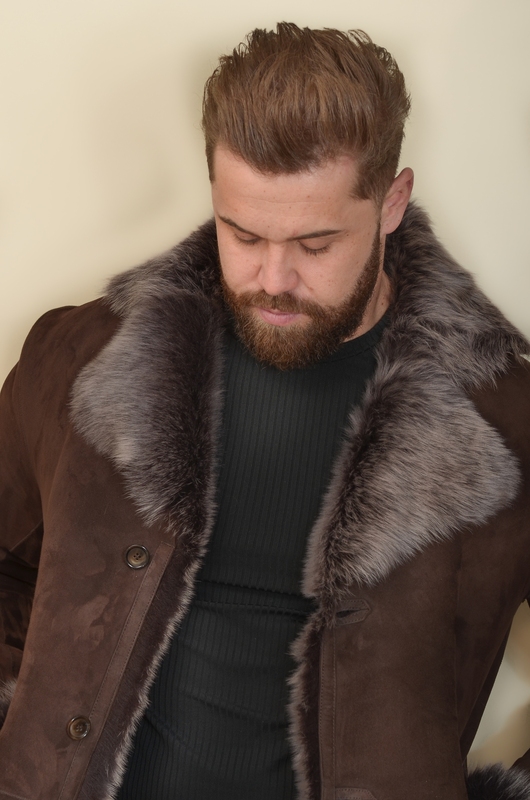 All the outer edges have been left in their natural shapes to give a more modern look and a softer lightweight feel to the coat. 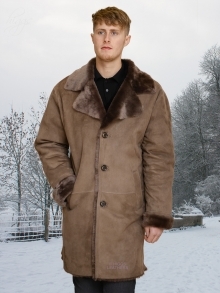 Coat length apprx. 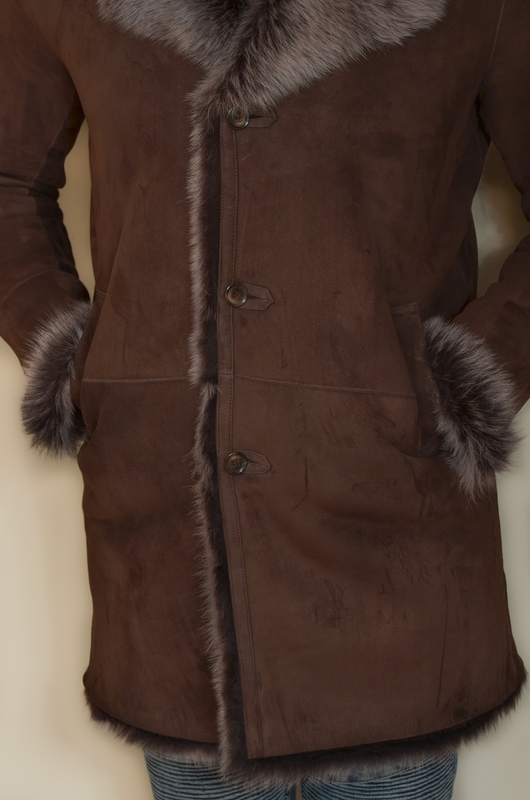 50" (127 cm).